I knew those aliens had them! There's no way that a big rock took out all of those awesome dinosaurs. 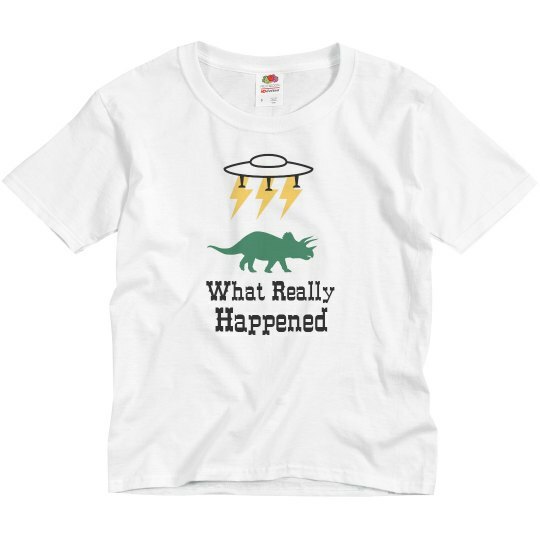 If there are two things that kids wonder about and love, it's aliens and dinosaurs. Cover them both with this sweet t-shirt!